Engenius DuraFon 1X - Single-Line Phone System is a unique sort of phone system. It provides a communication solution for all types of small and medium organizations. Not just that, it also provides big industrial facilities. The main system incorporates one DuraFon 1X handset and one DuraFon 1X receiver/base unit. The reason behind it is that the system is quite scalable. It means that you can easily add the handsets and base stations according to your need. This phone system is perfect starter phone system for the small enterprises. It is very functional when the enterprises require wide range conversation solution that the DECT or Wi-Fi phones can provide. It is offered by Telegiants with 30 days money back guarantee. 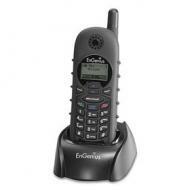 EnGenius DuraFon1X Single Line Phone System is a very reliable and durable phone system. It provides a long range. 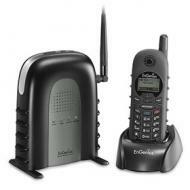 It is a cordless phone which has two-way radio usability. The entire system could be utilized easily. It can be expanded to manage the multiple handsets as well as lines. EnGenius DuraFon1X Single Line Cordless Phone System provides a conversation solution for all small, medium as well as large industries and companies. The entire system has an unmatchable wireless coverage which makes it different and better from the rest. It provides coverage up to 12 floors and around 250,000 square foot in the warehouses. EnGenius DuraWalkie 1X Walkie Talkie has some features for all sorts of users. This product is available on Telegiants with the 30 days money back guarantees. It is offered with a complete range of accessories that incorporates the base unit, additional battery as well as belt clips for the DuraWalkie 1X. This product is sold as a new closed item. This product is awesome for the DuraFon 1X. It has been made by a popular brand called Engenius that only use top quality materials in its products. Many users have bought these walkie talkies and are pleased to get them. Engenius is a well-recognized brand that is offering cordless solutions in a managed growth to offer the industrial market with awesome products. These products are targeted for the wireless communication requirements of the industries. 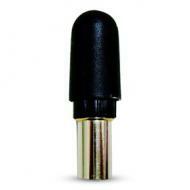 EnGenius DuraFon HSA2 Low Profile Handset Antenna is a durable and useful handset offered by Engenius. This product is readily available at Telegiants with the 30 days money back guarantee. It is available at a low price on this website. This product has many functional features that will be able to fulfill all types of communication needs of a workplace environment. It has been made with high-quality materials.